Resting on the edge of cattle country and the Golden Triangle, Havre is where many ag producers come to do business. The Havre Chamber’s Ag Committee was formed more than thirty years ago to assist in their success. It is the committee’s goal to strengthen bonds between the ag community and business community, and to foster interest in agriculture among young Montanans. 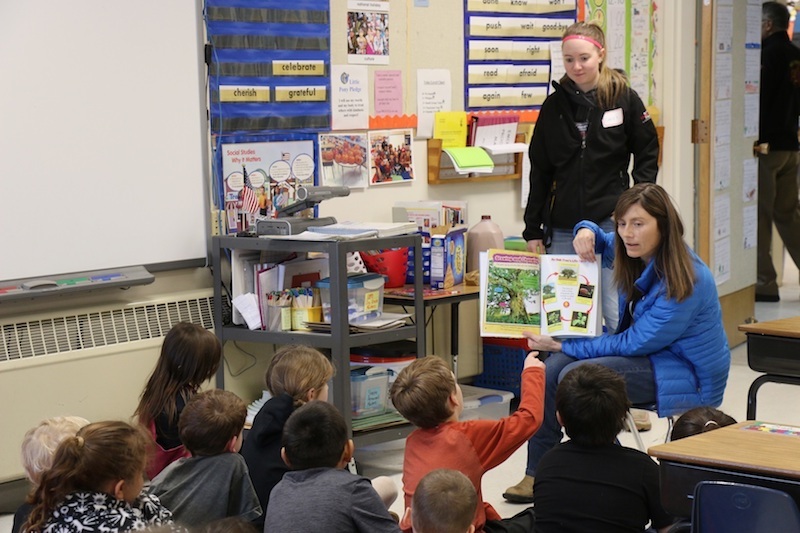 As MSU Northern’s Foundation Director, Bennett works with the committee to get college students involved in community outreach projects like Read N Feed, an annual event where volunteers meet with local first graders to talk about production agriculture. The elementary students are read an ag-related story, fed milk and cookies, and taught where these yummy products come from. “It’s a really fun, cross-generational experience,” says Bennett. It is the hope of the Ag Committee that these fun, educational events will encourage children to more critically consider the importance of local agriculture as they mature into Hill County’s future producers and business professionals. “We want to create better opportunities, better products, and a stronger economy,” says Bennett.